When I went to Ho Chi Minh in Vietnam, I snapped a photo of a street that looked a lot like any of the regular streets in Manila. When I posted it on Facebook, my friends thought it was funny and questioned if I was indeed, in another country. What they didn’t know is that despite some similarities, there are many things that Vietnamese people do differently from the Filipinos. In 2014, I finally had my first stamp on my passport. It was my first time to fly abroad and I was beyond excited. I was supposed to go with 3 of my officemates, but all of them backed out from the trip. I went through the whole stages of grief for what they did. Anger: How dare they do this to me! F*ck them!!! This friendship is over! Bargaining: I’m going to beg. I’ll ask them in a nice way and maybe it’ll change their mind. Depression: Okay, they still don’t want to go. This is really painful. I’m not gonna talk to them. Acceptance: So what if they don’t want to go? I can go on my own. I’m gonna do it. Yes, I went through it. I wish I am kidding. Despite the shock, my will to go never wavered for one bit. I will push through the trip come hell or high water. Naturally, I was both excited and nervous. This is it, I am going to another country. I will be physically out of my country, I will speak with people who have their own language, beliefs, tradition, and law. This is way beyond my comfort zone. But more than anything else, I was excited to know how the Vietnamese people are different from the Filipinos. Will I find their ways odd? Am I going to be culture shocked? Will I find some things offending or improper? All these questions were soon answered. I thought Filipinos have strong feelings for coffee; I was wrong. Apparently, we don’t love it with as much passion as the Vietnamese people do. There is literally cafe on every corner of the street in Ho Chi Minh and most of them place small chairs or stools (in Tagalog, bangkito) in front of their establishments where the locals like to hang out to enjoy their coffee. They like their coffee black with condensed milk and they like it iced. There are even street vendors who are selling Vietnamese iced coffee. Never in my life have I seen coffee being sold on the street, at least not this way. In my country, you may buy hot coffee from sidewalk vendors who are also selling candies, chips, and cigarettes. The coffee comes from the sachet of 3-in-1 coffee mixed with hot water. 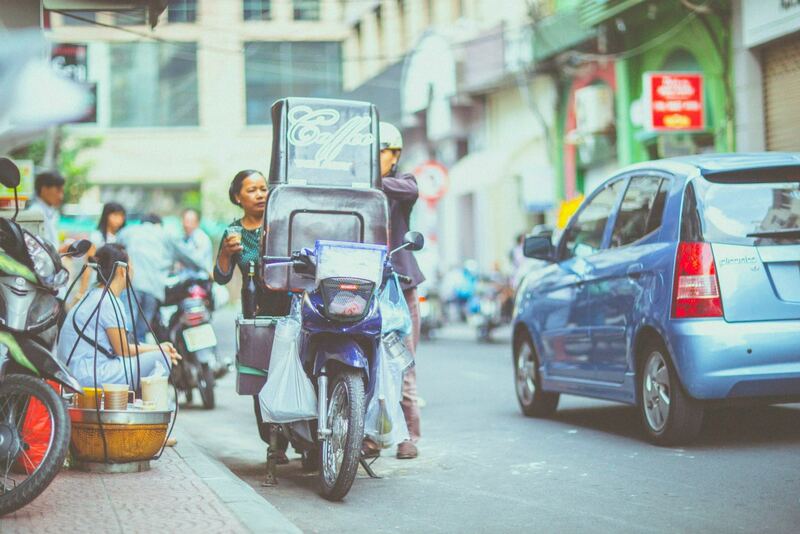 In Vietnam, there are street vendors who sell nothing but iced coffee, served on a plastic cup with a straw. And it’s good like the Vietnamese can claim they have the best-tasting coffee and I will not contest it. Along Bui Vien—a.k.a. the backpacker street in Saigon—the streets are lined with bars and restaurants. The seats outside are all facing the street. That’s right, so there you go walking down the street and you got the bar or resto customers for an audience. It was the most awkward walk that I’ve done in my life. I’ve never done the walk of shame, but I think I pretty much gained an idea. But it was only weird the first time. After a while, you sorta get used to it and it will bother you less and less. I used to think that Vietnamese people physically resemble Filipinos, after all, many Filipinos are often cast in this long-running Broadway musical, Miss Saigon. My classmates in college even told me that I looked Vietnamese. But when I went to Vietnam and saw that they are light-skinned and have small eyes, I realized that physically, they look more like the Chinese. If I’d seen a fat Vietnamese I don’t remember it because I noticed that most of them are of lean or slim built. A fact that I can only attribute from the food that they eat; mostly vegetables. And unlike the Filipinos who like greasy food, the Vietnamese prefer steamed or raw food. I usually ask the waiter for tap water in any restaurants in the Philippines. I just think that bottled water is a waste of money, and it’s not like I get sick from drinking tap water anyway. In Ho Chi Minh, you can’t do that. They always rely on distilled bottled water. In fact, in the house of my Couchsurfing host, I saw crates of bottled water covering an entire wall. So why don’t they drink tap water? Well according to a local, their water is contaminated and untreated especially in the rural areas. I followed his advice and it worked. In the Philippines, you only need to put up your hand to signal driving vehicles to slow down if you want to cross the street. In Vietnam, they couldn’t care less and would go on driving. The first time it happened to me, I thought the truck driver would run me down; thank heavens he didn’t. This happened on a street with no crosswalks. Again, in this situation, just walk slowly. Despite the many similarities with the Philippines, Vietnam has a unique identity that is both intriguing and amusing. I now remember it with fondness even when my visit has been marred by the scamming incidents that I experienced. Vietnam gave me the necessary education that the world is big and there are so much more to see and learn if one is willing to venture into the unknown. And I am willing to give it another chance, to better understand its culture and its people should I find an opportunity. What about you, have you been to Vietnam? Tell us what you find unique in this country in the comment below. Hello, I just discovered your blog and I really enjoy reading it as I am preparing for my travels to Asia! I really appreciate all the advice here and I definitely want to visit Vietnam but glad I came across this to know what I’m heading into. I just want to point out the part where you mentioned that Vietnamese people look more like Chinese people because of the “chinky eyes.” It’s important to understand that the word “chink” is actually a very offensive ethnic slur toward a person of chinese ethnicity. Interesting. I haven’t been to Vietnam yet but upon reading your post, I got a bit interested in their culture. Anyway. Thanks for your insight. I’m probably going to research about common scams in Vietnam to complete my travel plans. You do need ninja skills when it comes to the motor bikes. I was scared silly when it came to crossing the roads, but I love Vietnam! The traffic situation in Vietnam is a lot similar to Delhi. I have not been to Vietnam, though. Whenever I am escorting my guests on a crowded Delhi road, I always make a chain of them, this slows down the rush of traffic. You are right, no one in his real senses will crush the travellers but it is best to keep on walking with a watchful eye on the incoming traffic. By the way, the word, chinky, is considered racist in India. I haven’t been to Vietnam but I felt like I was able to transport myself to it through your experiences and observations. Though I stopped my coffee consumption, it amazed me how intense their coffee culture is knowing that they sell it in almost every corner of the country. I loved drinking iced coffee to be specific, and I guess I wouldn’t be able to help myself from getting a cup when I visit Vietnam! I also liked how similar yet different it is to the Philippines. Places can get really alike at some points, but no matter how similar they may look, the feeling and energy each place give will always be different. Thank you for sharing an insightful post. You are a true traveler and not a tourist! It’s amazing to read what you observed like coffee being sold on the streets. It doesn’t happen like that in India too, though in India, there is a lot more craze for tea. I guess the advice on how to cross the road wont apply everywhere in the world not in India for sure. My parents are 60+ and they are dead scared to cross the road on their own. They cant walk without a worry! But it’s interesting that you noted something different. Since you have a keen eye for detail, you should come to India and see how India is different from rest of the countries! Interesting! So much to learn hehe. Ive been looking for tickets here. Whats the best thing to do here? I love the insights! I also loved my trip to Vietnam, and agree with all your points! This makes me even more excited to go to Vietnam! Although I don’t dink coffee anymore, I still would like to taste their coffee. And beer. hehe. And I don’t mind cilantro one bit. And vegetables too! These are really good tidbits to know about Vietnam. I haven’t been to Vietnam yet, but it’s on my bucket list. I live in Finland, northern Europe and I have been to Asia only twice, first in India and then in Malaysia and Thailand. But did you mean that you were out of your home country only as an adult, for the first time, or did I get you wrong? I was 6 when we went to Sweden and Norway and 9 when we went to London. And that was in 1970’s, nowadays the kids travel much further from Finland. My cousin was 6 when he was on a tour around the world for the first time and 9 on the second time. I really envy him, although he doesn’t remember anything from those tours really. Yes, it was my first time to travel abroad. This is what I really love when traveling to other country. You get to experience and notice their culture and how they live their life everyday. From the food they eat, their way of living, their transportation and even the pace of their life. I love how you have shown their unique culture through your blog post which we can really spot a big difference from other cultures as well, especially our Filipino culture. 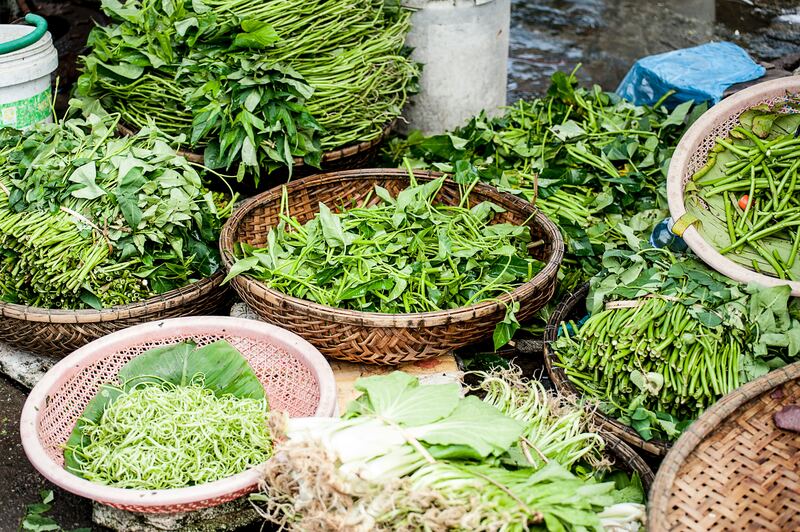 Yes, most of the Vietnamese and even Chinese really love to eat a raw or steam vegetables which is really healthy, That’s why you rarely see fat people in their country. It’s just so great to read something like this. I admire your persistence to push this travel, despite of your friends who backed out for this trip. I haven’t been to Vietnam and reading this post made me excited to traipse my two little itchy feet in their beautiful country. Thank you so much for sharing this with us Marge. 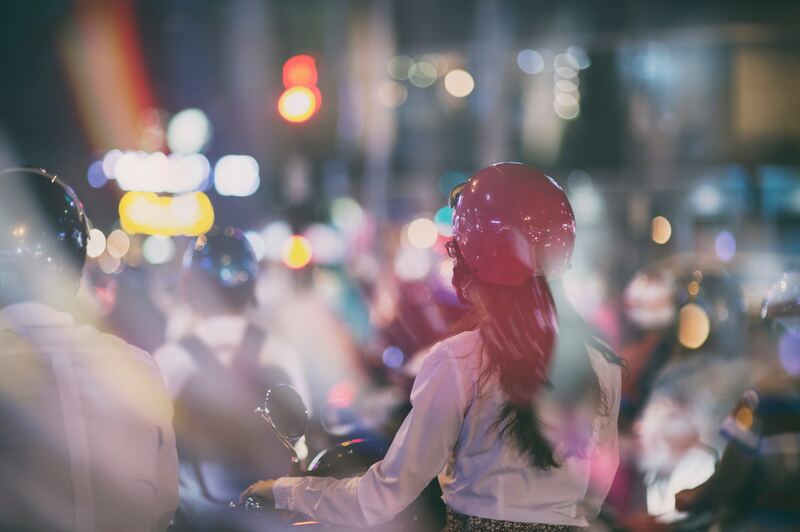 Your posts provides many interesting insights into the Vietnamese way of life. I have never visited Vietnam, but seem to know it having read so may articles about it. I know of the famous Vietnamese Coffee and the many cafes and street side outlets where one can relax with some of this coffee. It is indeed only when one visits a country that one really experiences it to the hilt. Ouch, I really wanted to visit Vietnam but know I read about the Cilantro.. I’m not sure anymore 😉 Kidding! It looks like an amazing country and I loved the pictures accompanying the blog. Safe travels! This is really Interesting and I got to learn so much new too. Even I used to think that Vietnamese resemble Filipinos but you cleared that out. Interesting that they like steamed and raw food. I can relate their Motorcycle culture well because that is at high grade in India. Oo nga eh, but I’m happy that there are more cafes that offer specialty coffee now. I think we just need to invest more on our local coffee, for now I’ve only seen a few that use local beans. Sounds like fun. Coming from India, I think I have crossing the road down like a pat. So would be interesting to see if I struggle in Vietnam. Also, iced coffee on the streets. Love the idea, have to visit now ! Really interesting post! I’ll have to visit Vietnam sometime! Wow. so Vietnam gave your first passport stamp and you even went at it solo. That motorcyle culture though seemed a bit I don’t know deliks. But I do agree that Vietnamese coffee is the bomb! Ah yeah, the motorbikes are a bit scary but it seems like the Vietnamese people have mastered it. Very interesting read and important too! Thank you.